If you’re planning a vacation to Great Wolf Lodge, it pays to look north of the border to Niagara Falls, Canada. With the Canadian dollar being low, the current exchange rate leaves a little extra in your budget for splurges. Check out 6 things worth the splurge at Great Wolf Lodge Niagara you should consider on your next visit. Luxury Extras Worth the Splurge? Niagara Falls, Canada is one of my favorite places to take my kids. There is no doubt that Great Wolf Lodge Niagara Falls is one of the best kid friendly hotels in Niagara Falls. From easy meal plans to exceptional waterparks, I love that the whole vacation can be enjoyed inside of one building and on a budget. Still, some of luxury extras offered by the hotel are definitely worth booking. Before visiting I like to save up to enhance our stay with these six splurges. There is no bigger splurge at Great Wolf Lodge Niagara than the Grand Wolf Suites. Guests of the Grand Wolf Suites receive the ultimate VIP treatment. 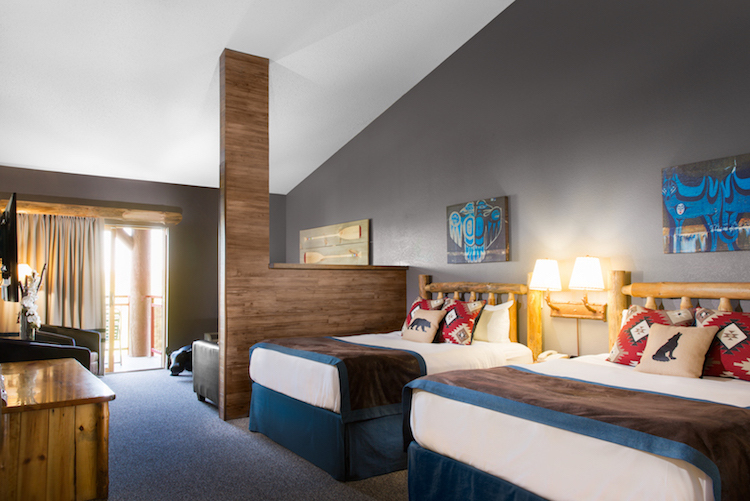 Priority parking steps from the main entrance, completely modern furnishings and reserved seating in the waterpark are all included with each Grand Wolf Suite. While the most expensive at the resort, the suites average only about $100 Canadian more a night than an unrenovated room of the same size. Families will appreciate the separate bedroom for parents and modern Canadian decor. The room also comes equipped with a fridge, microwave and breakfast table perfect for a night in with room service. The Grand Wolf Suite is definitely worth the splurge. We all know traveling with kids is awesome but you also deserve a little time off on your vacation. Great Wolf Lodge Niagara provides a break for parents with the Cub Club. 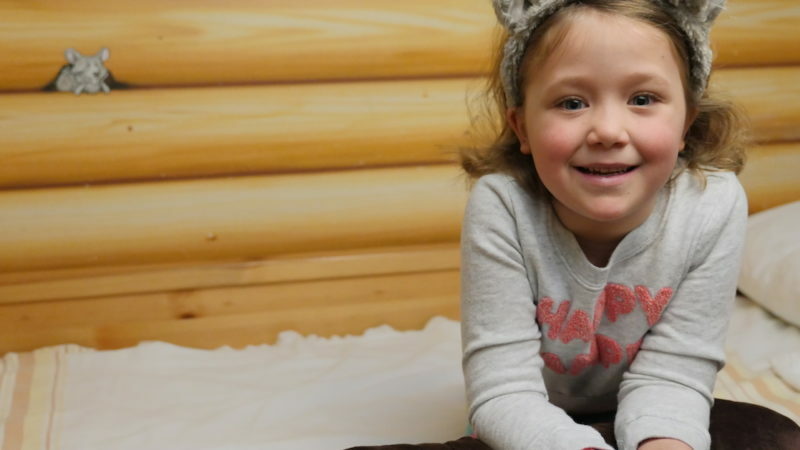 Offering daily childcare for $25 Canadian an hour for one child and an additional $12 Canadian for each additional sibling, the Cub Club is great for kids of all ages. As I am most often solo with my two, I use the Cub Club for needed breaks and when I want to experience the bigger slides with my taller child. Kids 4-12 can head to the Cub Club for the nightly PJ Party. My kids love taking part in the crafts, heading to story time with front row VIP seating and decorating their own pillowcases. The PJ Party costs $35 Canadian for one child and an additional $20 per sibling. You may be shocked to hear that Great Wolf Lodge Niagara has an adults-only spa. Hidden away from the kid-filled lobby, Elements Spa is definitely worth the splurge. Parents can unwind and relax with everything from manicures to couples massages. My personal favorite treatment is the Zen Stone Massage using hot stones. 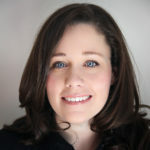 The treatment costs $140 Canadian for 70 minutes. Return to your kids after your treatment refreshed and ready to hit the enormous Great Wolf Lodge Niagara Falls water park. 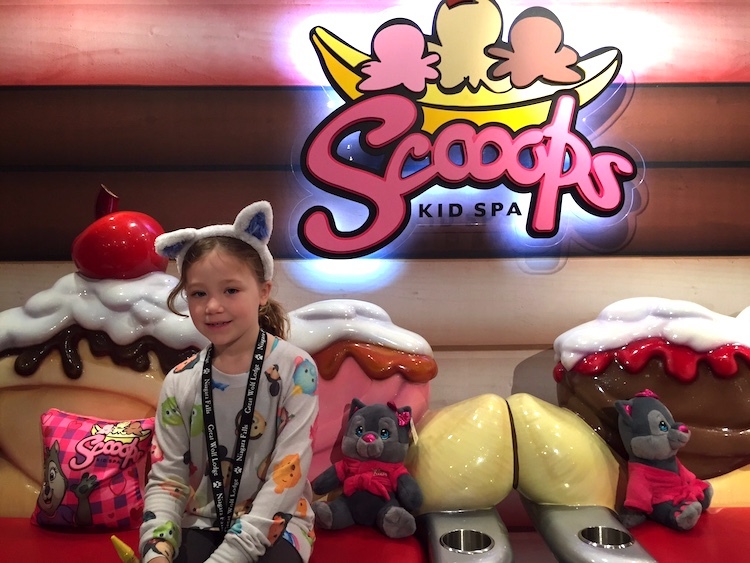 Scooops Kids Spa provides an awesome experience for parents and kids. The spa offers Mommy and Me manicures and pedicures, but the ultimate splurge is the Neapolitan Combo. The treatment costs $90 Canadian and includes an ice-cream themed manicure, ice-cream themed pedicure and chocolate organic facial. My daughter, who is allergic to dairy, loves to indulge in the ice-cream manicure as a special treat. 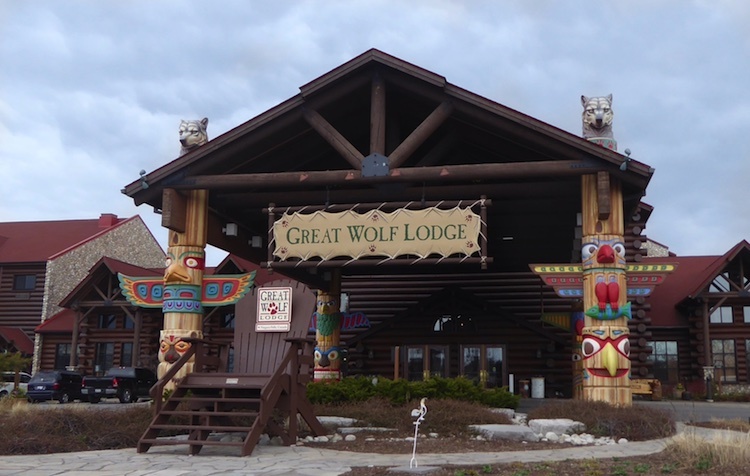 The Great Wolf Lodge Niagara Paw Pass is the ultimate splurge for kids. The Paw Pass is essentially a tasting menu of the most fun activities at Great Wolf Lodge Niagara. The Paw Pass costs $64.99 Canadian per pass and includes many favorites. Kids can trade in the pass for one MagiQuest wand and game, a quarter pound of fudge, an animal from the Great Wolf Stuffing Station, a gift from the Scoops Kids Spa, a water park action photo and 20 Paw Points and game card for Northern Lights Arcade. While the pass is a splurge, parents do save 46% off the retail costs of all these activities when bought separately. Wiley the Wolf is a celebrity at Great Wolf Lodge Niagara. Nothing says splurge like a private milk and cookie session in your room with Wiley or his friends Violet Wolf, Oliver Racoon or Brinley Bear. Your family picks their favorite to invite to your room for a visit and souvenir photo. The experience costs $30 Canadian for the first two children and $5 per additional child. This extra splurge will leave your kids with a great souvenir and send them off to sleep with a smile. Whether enjoying one of these 6 Great Wolf Lodge Niagara splurges or visiting on a budget, you are sure to have a good time.